There are a handful of issues that should be on the top of every financial marketers' mind this year: mobile advertising, personalization, martech, data analytics and (of course) marketing ROI. There are three main areas where financial marketers are allocating dollars in digital channels: paid search, video and mobile. Paid Search. According to eMarketer, search will remain the single largest segment of ad spending in the financial industry, accounting for 47.3% of all digital marketing budgets in 2016. Generating the maximum number of impressions for the minimum cost-per-click will remain one of the biggest challenges facing financial marketers in the near future. Online Video. eMarketer also says a quarter of all digital display advertising in the financial industry will be video in 2016. Pathmatics, a digital advertising analytics firm, reported that at the end of Q1 2015, financial services was among the top five industry advertiser categories for digital video. Mobile Advertising. Financial services ranks high in mobile ad spending in relation to other industries measured by eMarketer, with the industry’s predicted 12.1% share of total US mobile ad spending in 2016 placing it second behind only retail. eMarketer predicts the US financial services industry will spend $5.29 billion on mobile advertising in 2016, equal to 63.2% of its digital ad investment overall. Duke University’s Fuqua School of Business’s survey of CMOs revealed that those in the financial services sector expected to nearly triple the share of marketing budgets directed toward mobile within the next three years. Reality Check: The future of advertising is digital, and the future of digital advertising is mobile. Back in the early 1900s, John Wanamaker famously said, “Half the money I spend on advertising is wasted, the trouble is I don’t know which half.” Over 100 years later, this still seems to be a major pain point for marketers. According to a study from Black Ink, tying revenues and profits back to marketing ranks among top issues troubling C-level executives. 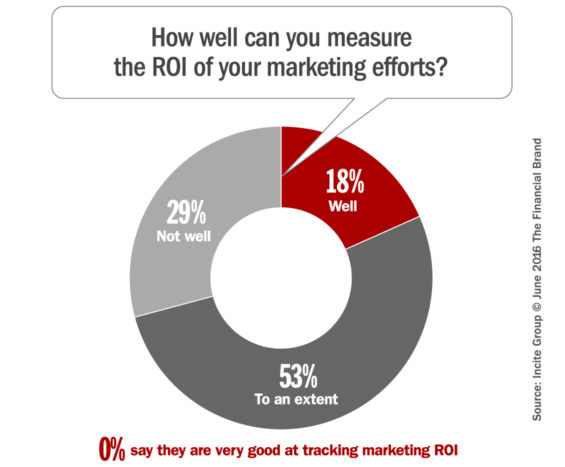 Those tracking ROI represents the largest reporting gap for marketers. It’s much easier measuring “top of the funnel” KPIs such as tactical campaign performance and lead/demand generation. But how do these marketing activities link back to actual sales? In the study by Black Ink, 61% of marketers say that greater insight into the ROI of their efforts is one of their top priorities in 2016. This will require both better metrics and reporting abilities. In the meantime, leadership teams will struggle to get a clear view of their total marketing ecosystem, leaving huge gaps in the decision-making process. Reality Check: CEOs and CFOs won’t increase marketing budgets if marketing activities can’t be connected back to the bottom line. According to Black Ink, marketing plans to fill some of these ROI reporting gaps with more data. How and where will this data come from? Largely from martech solutions. 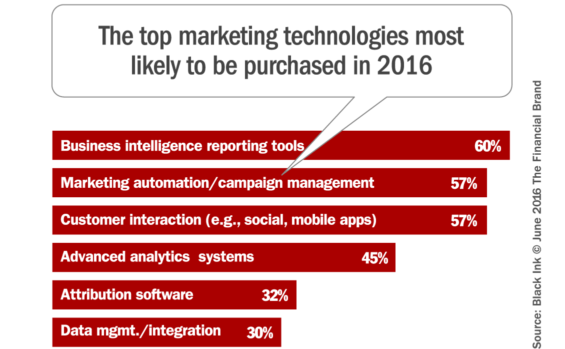 More than a quarter (28%) of the respondents in the study said that it was imperative that they improve/upgrade their marketing technology stack in the next 12 months, expressing a strong proclivity to purchase more business intelligence, marketing automation, and customer interaction tools in 2016. The good news is that every digital tool marketers adopt will (or at least should) bring with it a wealth of new data streams. Unfortunately, some of these technologies won’t directly support the greater need for more advanced marketing KPIs that C-level leaders expect. If marketers acknowledge their infrastructure is currently both a shortcoming and a priority to support its brand promise and greater customer centricity, what is impeding their ability to attain it? Marketing leaders aren’t fully responsible for managing the infrastructure (e.g., analytics and data management) to deliver all the insight the C-suite craves. Marketers’ success — or lack thereof — quantifying their efforts will hinge on both a greater investment in tech (requiring the CFO’s blessing), and more support from IT. 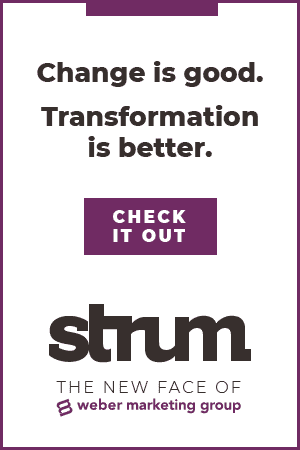 Indeed, a third of marketing execs in a study by the Incite Group said that working with IT teams to create a solid tech infrastructure is the most essential component to the marketing attribution riddle. 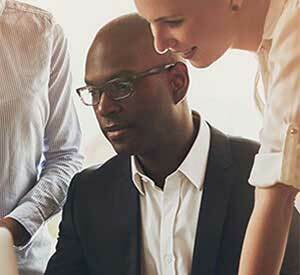 Reality Check: Marketers should focus on tech features that will help them close the ROI gap. In the Incite Group study, 32% of marketers say they can improve marketing ROI through greater personalization. Perhaps more importantly, one quarter of C-level execs say they are “absolutely convinced” improved personalization — of both the user experience and marketing — yields real, quantifiable value. In short, everyone believes personalization increases engagement in ways that drive greater revenues and profits. 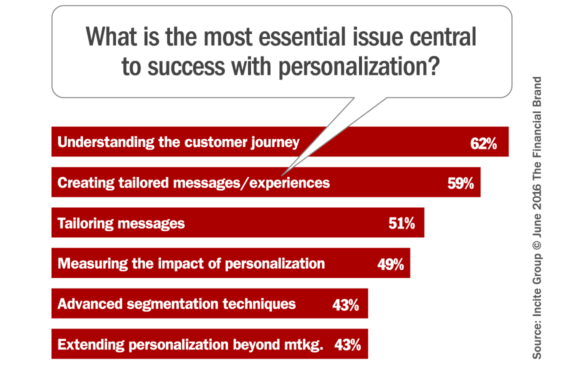 When looking at the priorities for personalization among marketers, the most important issue is “to get better at understanding the customer journey,” with 63% saying this is an “essential focus” in the upcoming year. The second most critical focus for marketers is “to create different messages and experiences for different target audiences.” 59% of marketers call this an “essential focus,” and a whopping 89% acknowledge that it is at least “important.” There is, of course, a question as to the extent brands should embark on the personalization journey. After all, personalization does not necessarily equate with “one to one” marketing, which can be economically and technically unfeasible. Reality Check: The challenge is determining the extent to which you should personalize, and to clearly understand the value/benefit of each additional level of personalization. Sitting squarely at the intersection of the everything covered in this article is one thing: data analytics. Between the explosion of digital advertising channels and plethora of new martech tools, marketers will be awash in more data than ever before. And this will be precisely the kind of data marketers need to personalize their messages and calculate ROI. But in Black Ink’s study, 46% say they will need more advanced analytics/insight if they are going to be able to leverage all these new data streams to make smarter decisions. And despite the abundance of information available in the digital age, 31% still bemoan their inability to access more data. For financial marketers, that often includes information that’s right across the hall in another department or residing a different product silo. As the Incite Group points out, marketing is increasingly becoming a data-driven discipline, and in conversations with CMOs, their next focus for hiring is the executive who can act as a translator between data-analysis and traditional marketing teams. 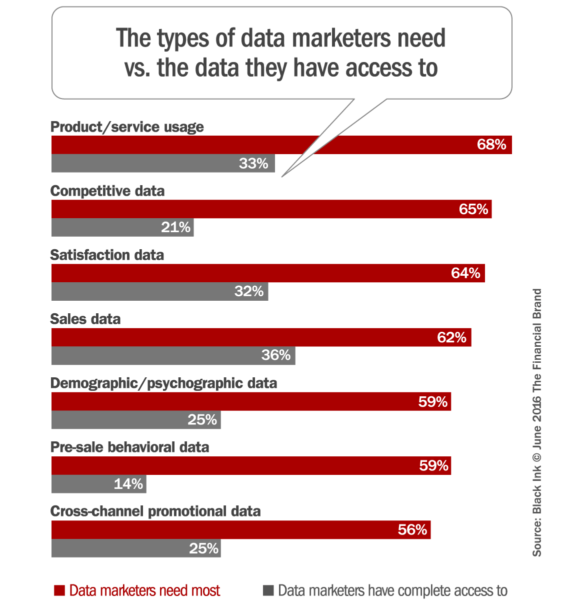 Marketing execs must become more data literate. Reality Check: Access to internal and external data to achieve advanced analytics reporting is woefully inadequate. Not having even moderate access to data or the tools/talent to analyze it may continue to be a constant challenge. This article was originally published on June 6, 2016 . All content © 2019 by The Financial Brand and may not be reproduced by any means without permission.